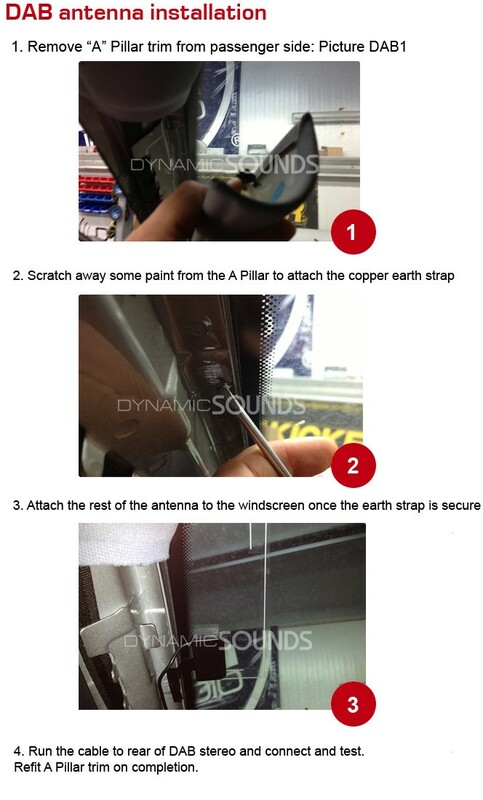 Please follow pics 1 to 6 as this a step by step guide on how to mount the brackets on your double din unit. If all these wires are NOT connected then the unit will NOT switch on. With the help of a multimeter check to see if you have power at these points. Some cars are not equipped with an ignition supply and this is the most common reason for the unit not to switch on. In this case a wire will need to be sourced from another point in the vehicle and connected to the red wire of the stereo harness. If there is an ignition wire present, but still no power then check the fuses in the fuse box to make sure that they are not blown. Most common vehicle with no accessory or ignition live : ALFA ROMEO, AUDI, FIAT, MERCEDES AND VW. You can only use what is required by the stereo. For Autoleads patch leads the single wire will be blue. JVC Patch leads, which connection to use? If no remote wire is present then connect to an accessory supply or ignition driven supply instead.